Help feed over 250 families this Pesach! What is the difference between this night and all other nights? YOU are the difference! 250 Crown Heights families are relying on YOU. 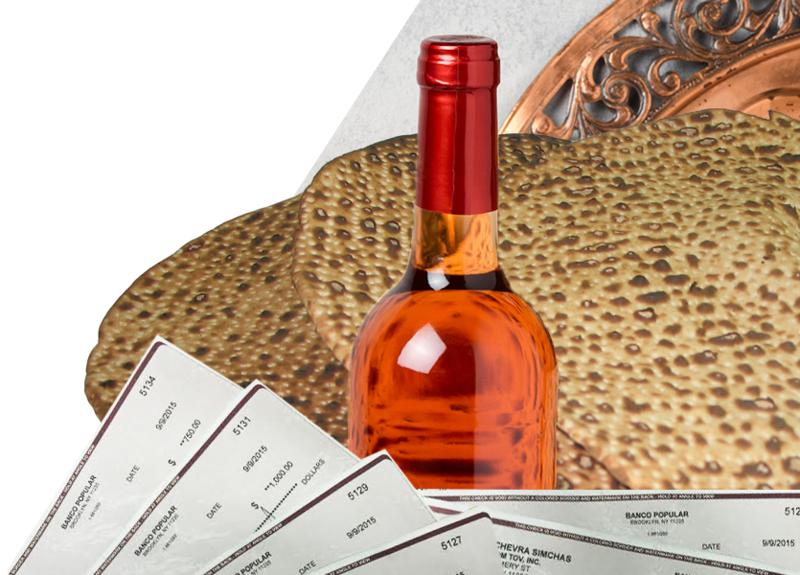 They can’t afford Matzah, even cheap wine for the seder is not in their budget and meat for Yom Tov is only a dream. These are YOUR relatives, neighbors and friends. They are turning to us for help. CSSY is ready and waiting to help but we need YOU. For over 40 years, Chevra Simchas Shabbos V’Yom Tov- The Organization to bring joy on Shabbos and Yomim Tovim- has been there for Crown Heights’s neediest . Funds for food, clothing, shoes, therapy are all distributed in a discreet and dignified way. CSSY distributes weekly food vouchers to over 100 families at approximately $8,500 a week. We operate 365 days a year, and virtually no issue is forgotten or overlooked. Now during Pesach over 250 families will be seeking our help. We cannot do our job alone - we need your help! I beg of you: at this important and joyous Pesach season, don’t turn away from the Jewish poor of Crown Heights who desperately need your Tzedakah. We must raise this $300,000 to make sure every local family in need of financial assistance for Pesach can be at rest and taken care of it! Please- stop right now and lend a hand to a Widow, orphan and family in need. Please donate now! Thank you in advance for partnering with us to help free your fellow Jew from poverty during this season of freedom. In the merit of your kindness today, may G-d Almighty shower you with kindness, granting you and your loved ones’ blessings for health, happiness, and Kosher un Freilichen Pesach.